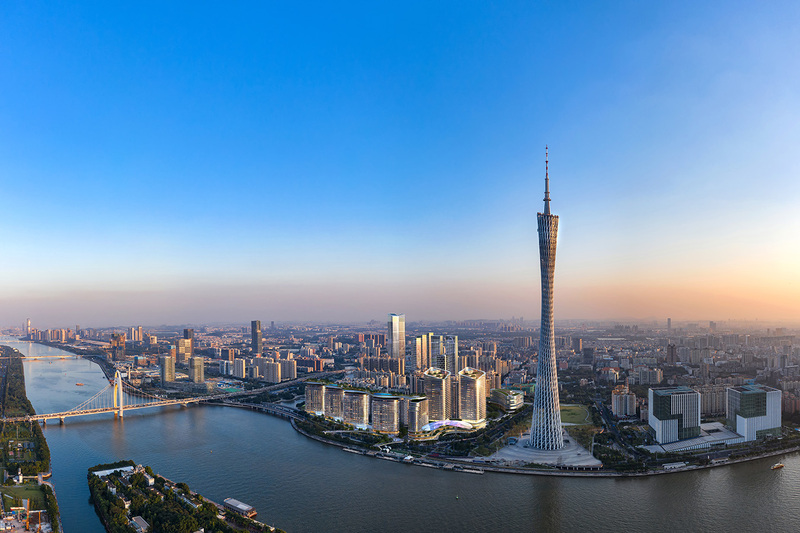 Located adjacent to the Canton Tower with enviable frontage of the Pearl River, this landmark development in Guangzhou portends to be an iconic addition to the city’s skyline. 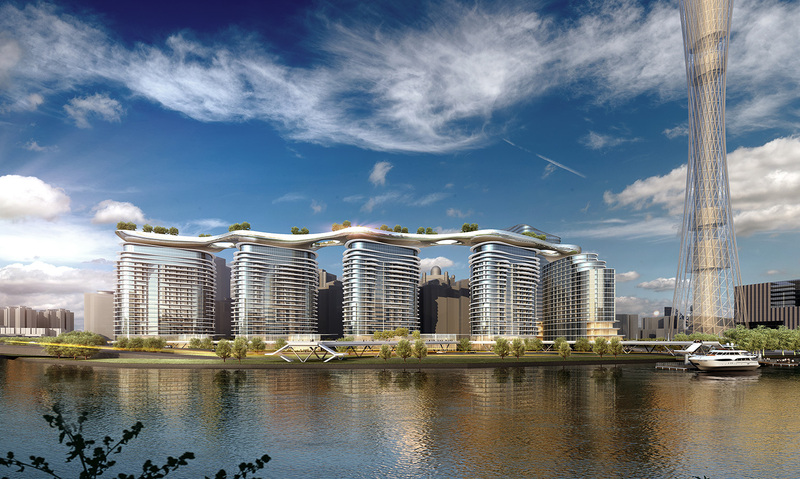 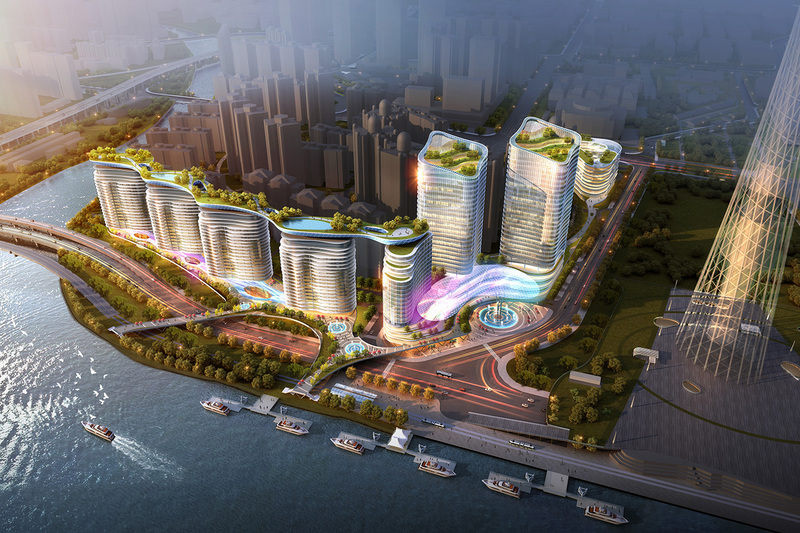 Incorporating two mid-rise office towers, a multi-level retail and entertainment galleria, a five-star hotel and four luxury residential towers, the development exudes sculptural forms, undulating facades and fluid lines reflecting the waterfront. 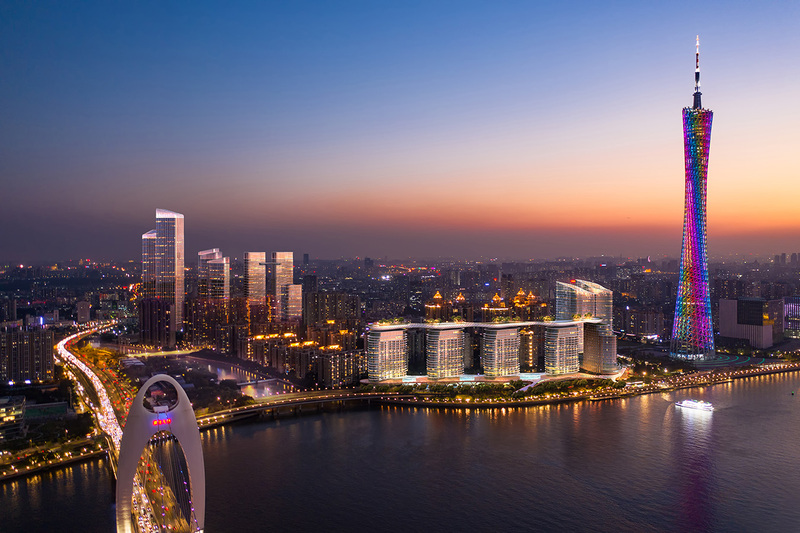 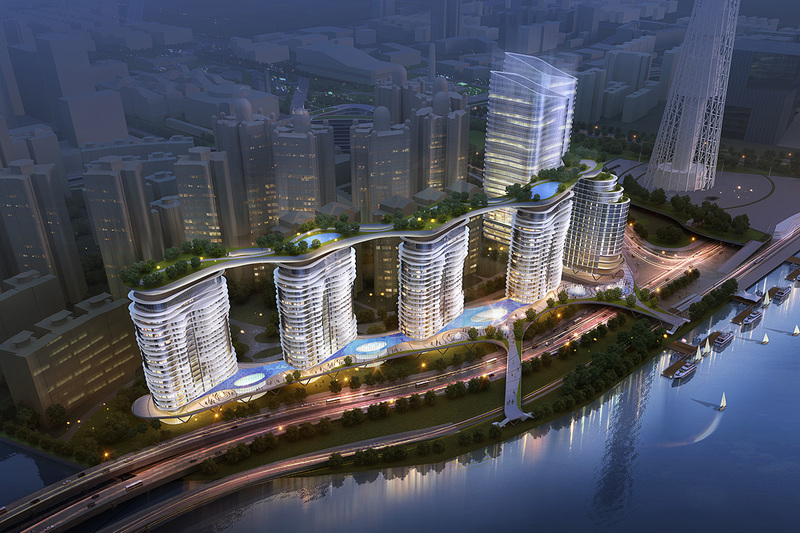 The free-flowing “River Park”, a lush roof garden connecting the luxury residential and hotel towers and incorporating clubs and recreational amenities, defines the quintessential gateway to the Pazhou district to the North. 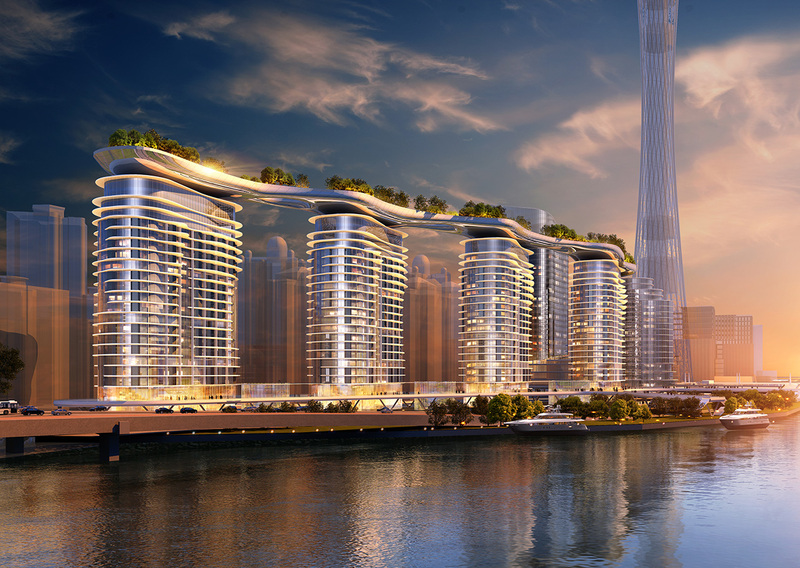 Terraced promenades along the riverfront are animated by cafes and bistros and flying bridges and landings afford accessibility to the river. 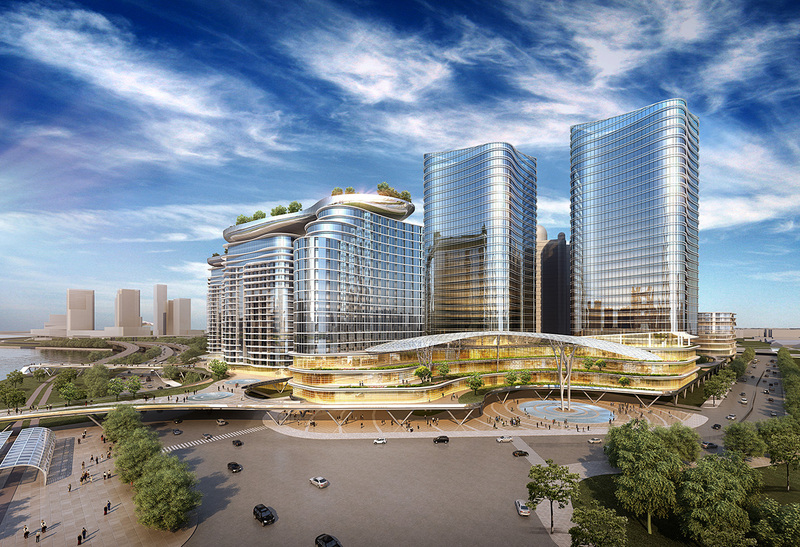 A grand canopy at the retail and office entry defines a new public plaza for forums and festivals.